It’s that time of the year again. The weather is getting colder, Christmas decorations are going up, and SilverFox Limos is taking you to see the Lights!! Every year around this time we are fortunate to have some of the best Christmas Lights Displays in our area. 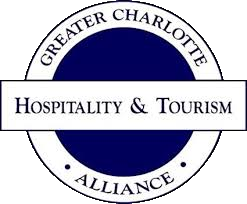 These places include the Billy Graham Library, Tanglewood Park, McAdenville, NC, Zootastic Park at Lake Norman, and Carolina Christmas at Charlotte Motor Speedway. A great way to see the lights is in one of SilverFox Limos beautiful vehicles. We are able to accommodate any size group. 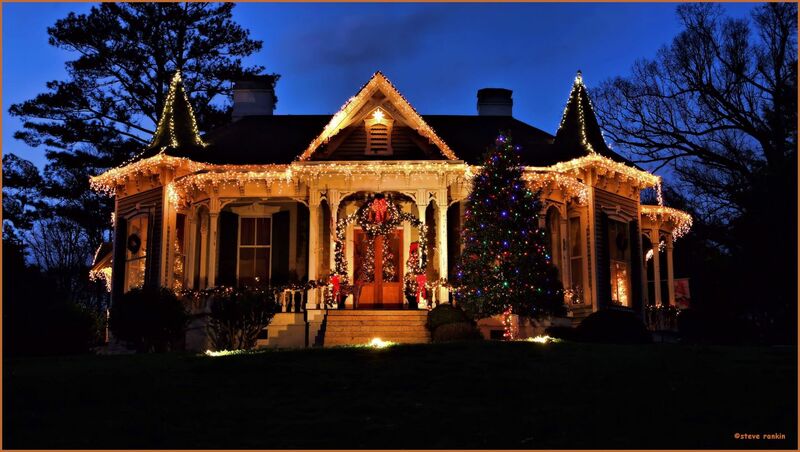 This is perfect for families or groups of friends who want to enjoy the Christmas lights around town, but who don’t want to have the hassle of driving and parking. SilverFox Limos give you the opportunity to enjoy the lights with a group instead of having to take multiple vehicles. All of our chauffeurs are well experienced and know the best routes to take to get you to your destination. 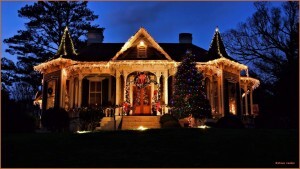 Holiday Lights tours and our Holiday Lights Packages make a great early Christmas gift. *Christmas activities begin at 5 p.m. Both admission and parking are free. 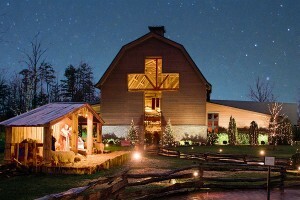 See a real life representation of the birth of Jesus, including shepherds, a camel, donkey, lambs, and other animals. This free attraction is located between the Library entrance and the Graham Family Homeplace. Please don’t pet or feed the animals during the evening nativity scene. Monday through Thursday, 5 p.m. – 9 p.m.
Friday and Saturday, 5 p.m. – 10 p.m.
Come pet the animals at the same location from noon to 2 p.m. Experience the ambiance of Christmas at the Library from a horse-drawn carriage. Purchase tickets in the Library parking lot, then get on board for a 15- to 18-minute ride around the BGEA Headquarters and Library grounds. Each carriage comfortably seats four adults. Tickets cannot be purchased in advance and entire party must be present. Bring the little ones to the Billy Graham Library patio for a special time of reading from Christmas books available in the Ruth’s Attic Bookstore. Kids of all ages are welcome, but this free event is especially recommended for those under age 12. The patio is covered and heated so everyone stays warm. Celebrate the season with a wonderful Christmas dinner with family and friends. This traditional holiday meal features turkey and carved ham with maple Dijon glaze, cranberry cornbread stuffing, other savory dishes, and an assortment of festive desserts. Dinner will be served just behind the Library in the BGEA headquarters, with parking available or shuttle bus transportation provided from the Library. Prepaid reservations are required. Come join us for our Christmas Wonderland of Lights! This year, we will be open every night from November 21 to January 1! Some activities during this holiday season will be photos with Santa and our baby animals, pony rides, tiger feeding, s’mores, and our petting zoo! We can’t wait to see you at the zoo! Sunday-Thursday: 6 p.m. – 9 p.m.
Friday & Saturday: 6 p.m. – 10 p.m.
Beginning November 17th, 2017 through January 1st, 2018, Tanglewood Park’s rolling countryside will be transformed into a winter wonderland of giant, twinkling snowflakes and whimsical scenes! Entering our 26th season, Tanglewood’s Festival of Lights continues to be one of the largest and most spectacular light shows in the entire Southeast. Each year we make our show better and brighter with brand-new and improved light displays, a wide variety of vendors at Holiday gift Village, and even Mr. and Mrs. Santa Claus themselves! We are so excited for you to join us this year in celebration of our favorite season! 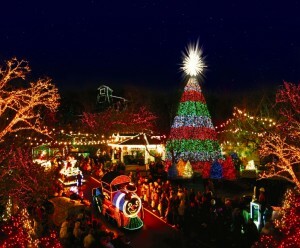 Thursdays-Sundays are very popular nights at Festival of Lights! During these nights, long lines and wait times should be expected. Saturday nights are especially busy and wait times can exceed 4 hours. We strongly suggest visiting the show Mondays-Wednesdays to avoid extended wait times. Also, the week before Christmas is extremely busy each night with long wait times guaranteed. Thank you! Festival of Lights is open nightly, November 17th through January 1st from 6:00PM to 11:00PM, with the exception of December 31, when the show will close at 10:00PM. We accept cash, checks, or credit cards as payment for entrance to the Festival of Lights. Due to safety concerns, riding through Festival of Lights in the back of a pick-up truck or in/on a trailer that is connected to a vehicle is prohibited. The Lights glow nightly in McAdenville, NC. This years marks the 62nd Annual of Christmas Town USA. The more than 375 trees which were decorated last year range in height from 6 feet to more than 90 feet. Only live trees are used. The number of lights on individual trees varies with the height, diameter and fullness of the trees. As few as 500 lights and as many as 5,000 lights may be used on one tree. One of the favorite spots for viewers is the lake which is situated near the heart of town. Here are 33 trees, ranging in size from 12 to 40 feet, which ring the lake. The reflection of the lights in the water adds to the beauty of the scene. A fountain, located in the center of the lake, jets water 75 feet into the air. Lights shining on the fountain go through a sequence of red, green, blue and amber about once every ten seconds. At the lake, a 46 foot wide lighted image of Old Man Winter blows snowflakes into the air. While much emphasis has been placed on the lighting of trees, this represents only a portion of the effort that goes into the preparation for Christmas. The town residents play a big part as they decorate their doors in original styles according to their own personal feelings. This gives a special expression of “Best Wishes for a Merry Christmas” from the townspeople to their visitors. 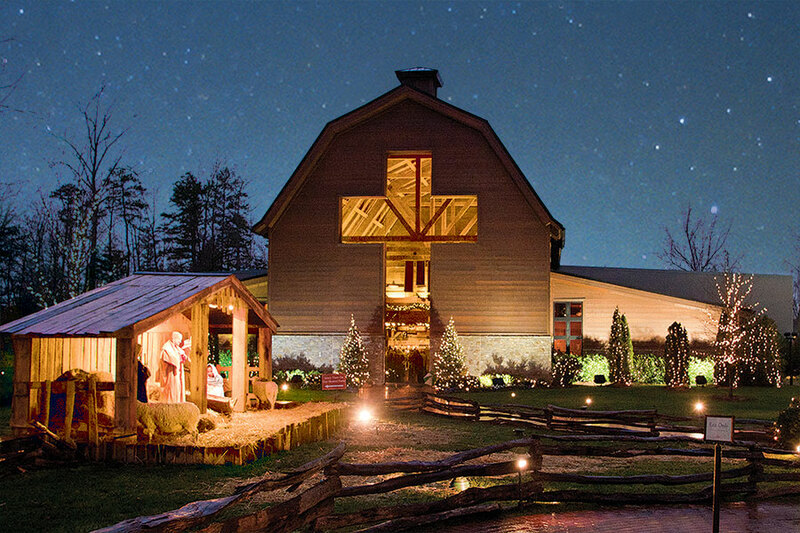 A life-size nativity scene and life-size figures of carolers, complete with music, add to the effect. More than 200 wreaths adorn lampposts throughout the town. Santa and his reindeer, a display that is nine feet tall and seventy feet long, are featured as part of the annual tradition. Speedway Christmas is returning to Charlotte Motor Speedway and is even bigger and better in its eighth year. Speedway Christmas will have over 3,000,000 lights with a new and greatly improved lights-to-music drive-thru section along the 3.5-mile course! Open every night of the week and in addition the Christmas Village will be open Thursday-Sunday and all Christmas week (Closed Christmas Day), the Christmas Village includes a petting zoo, Bethlehem village, photos with Santa, and more. Building on the family-friendly holiday atmosphere, this year’s Speedway Christmas fans can sit in their cars and cozy up to FOX 46 Movie Nights on the giant Speedway TV every Thursday-Sunday. Stay tuned for more information about movie nights and other holiday happenings at Speedway Christmas. Click here for more information http://www.charlottemotorspeedway.com/tickets/speedway_christmas/.